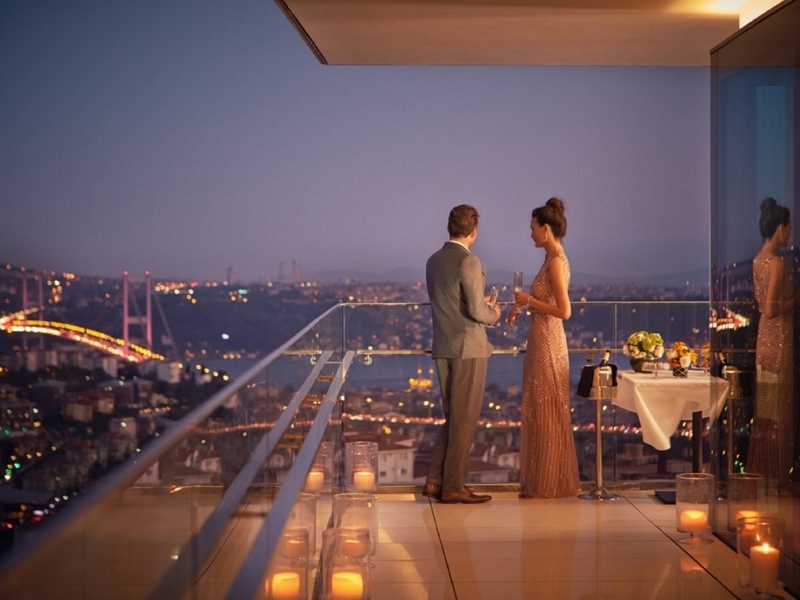 At Raffles Istanbul, we have a unique way of making you feel valued and welcomed in a world of emotional luxury. A seamless experience is guaranteed with quality services by a team who understands your individuality and respects your privacy. For centuries Istanbul has been the meeting point of East and West and at Raffles Istanbul, we created the perfect expression of the 'new' Istanbul: vibrant, full of energy and innovation, but utterly in touch with the city where it stands. The hotel over looks the Bosphorus, the Prince Islands and the historic peninsula - a stunning vantage point above the city. Raffles Istanbul the new face of Istanbul: cutting-edge, eclectic and energetic. At the heart of the Zorlu Center, a new hub for fashion, food and the arts on the European shore in Besiktas. Offering complimentary 24-hour Butler Service to all Rooms. Our rooms are designed for the modern traveler, but also to take advantage of our location and the views across the city. Light, airy and contemporary, they showcase Istanbul at its very best. All 136 guest rooms and 49 suites are spacious and well equipped. All have floor to ceiling windows offering panoramic views, many looking down towards the Bosphorus. All have a private balcony, letting guests fully take in the magic of the city. Isokyo will take guests on an exceptional adventure from Istanbul to Toyko, unlocking the mysterious flavors of the Orient while blending them with modern Western cooking techniques. Showcasing the best of the East. Lavinia is a vibrant and impressive space to meet over a drink, take afternoon tea, and enjoy a menu of Raffles delicacies. Live entertainment brings an additional relaxing touch to the bustle and activity. Raffles Patisserie is a modern-day jewelry box, filled with delicious treasures just waiting to be discovered: gem-like cakes, macaroons and pastries, beautiful ice creams and homemade breads, chocolates and local delicacies. Rocca Brasserie's cuisine is inspired by the sunny weather, blue waters and atmosphere of the joyful Mediterranean climate with a sharing menu to be enjoyed with friends, family and loved ones. Lively and energetic, Long Bar welcomes guests and locals alike for drinks, light bites and conversation. Live music and DJs create a colorful and vibrant backdrop. Lounge6, offers a new space to gather over drinks and cocktails while taking in captivating views of the Istanbul skyline. Lounge6 features cocktails from Long Bar and cuisine from Arola Restaurant by Michelin Star Chef Sergi Arola.